We take medications to protect our health and cure diseases. In doing so, we trust in our government regulation and in the manufacturers themselves to ensure that the benefits of the drugs outweigh potential adverse effects. At The Brod Law Firm, we know that medication errors and dangerous drugs are a very real problem. These cases are complex and often require significant expert analysis to determine whether a medication was unduly dangerous and the cause of a negative outcome. However, while even the victims of dangerous drugs may be uncertain of what caused their injuries, some cases of contaminated medication can be shockingly blatant. These cases leave our San Francisco product liability law firm, and the general public as a whole, stunned at how such glaring errors can occur in what should be a carefully controlled environment. According to CNN, the Food and Drug Administration (“FDA”) recently advised consumers to stop taking a popular medication because the pills may be contaminated with small specks of glass. The medication at issue is a generic form of the cholesterol drug Lipitor that is manufactured by Ranbaxy Pharmaceuticals, the world’s 12th largest maker of generic drugs and India’s largest pharmaceutical company. Although Ranbaxy initiated a recall of forty-one lots of the pills nearly three weeks ago, the FDA’s announcement on Thursday November 29 is the first time the agency told consumers to stop using the medication. Additionally, the FDA announced that Ranbaxy will stop manufacturing atorvastatin while the company and the administration investigate how the glass got into the pills. Despite the FDA pronouncement, some pharmacies have told customers that it is safe to continue taking the medication. Brian Henry, the vice president of corporate communications for Express Scripts, explained the matter is a “pharmacy-level recall,” meaning the pharmacies themselves will stop dispensing contaminated lots of the pills but users could take already purchased medication, despite confirmation from the FDA that some pills from the lots at issue may have already reached consumers. Henry added that Express Scripts will not issue refunds on the medication. CNN also spoke with several CVS-based pharmacists who advised customers it was okay to take the medication but said they would replace the pills at a patient’s request. 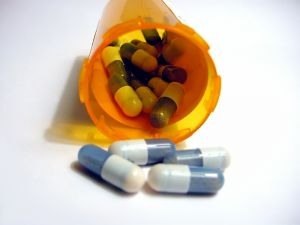 Lisa Gill, Consumer Reports’ editor of prescription drugs, summed up the situation well, noting that “[t]he whole thing is confusing for consumers.” The FDA noted that the glass particles involved were tiny, only the size of a grain of sand, and said the likelihood of harm to consumers appears fairly low. In Thursday’s statement, the FDA told consumers to contact their pharmacies to find out whether or not the specific pills they had purchased were part of the lots involved in the recall. However, adding to the confusion, a spokesperson from the National Community Pharmacists Association said that pharmacists are generally not able to connect a bottle of pills to the original lot number. Of additional note is the fact that this is far from the first problem tied to Ranbaxy. The FDA has accused the manufacturer of taking shortcuts in quality control and exhibiting “a pattern of systemic fraudulent conduct.” In 2008, the FDA barred the company from importing thirty medications into the U.S. because of the widespread misbehavior. It is hard to fathom how a pharmaceutical company could permit a contaminant like glass to find its way into an end product. Such a serious and grave error is cause for concern, as is the unclear response from regulatory oversight officials. As your San Francisco injury law firm, we are ready and able to assist Northern Californians harmed by the failure of companies to take proper care to ensure medications are manufactured in a safe environment that is free from dangerous contaminants. We also urge the FDA to work to deliver clear and effective guidance to a public that relies on the agency to protect it from unscrupulous pharmaceutical companies that fail to adhere to the most basic tenets of manufacturing safety.